I was planning on going for my first Jerusalem run n Saturday morning to take advantage of the quiet Shabbat morning when just about no one is out and about. My toddler, however, had a terrible terrible night on Friday. It was so bad, in fact, that when I finally just crawled into her bed with her at 3 in the morning, I turned off my alarm and put it off for another day. If you think that I was procrastinating about that run and was happy to use my daughter as an excuse, well, my loyal readers, you are correct. 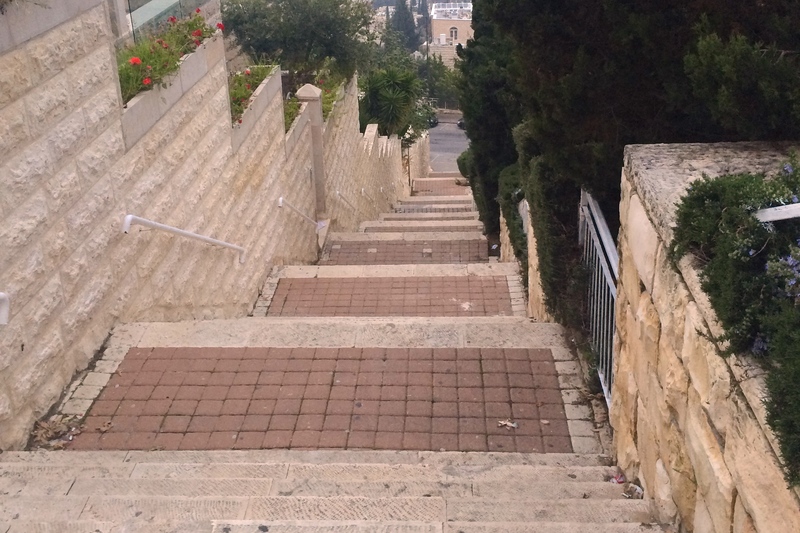 Jerusalem is full of hills. Hills with grades of 7-9%. Steep hills. And I am still a fat crossfitter and novice runner who’s used to shuffling along in delightfully flat Crystal City, VA.
Today, I got up and faced The Hills. They were about as awful as I expected. In fact, the run was so difficult that instead of the 3 mile loop I’d planned, I cut the run short and ran a much shorter 1.5 mile loop instead. I should probably try running up the many stairs in my neighborhood … Nah. Those hills are great for those glute muscles! I miss them, or at least the burn that would come from walking everywhere.